Did you know that you can immediately open any directory from within the Open & Save dialog windows found throughout Mac OS X? Say you want to open a file contained in a folder which is buried deep in the file system and you know the path, or that you want to save a file to a deep file hierarchy, that’s exactly what this is for. Or maybe you just want to quickly save to anywhere in OS X, you can point to any folder on the Mac practically instantly by using the Go To Folder trick within the Open and Save boxes of apps in Mac OS X. 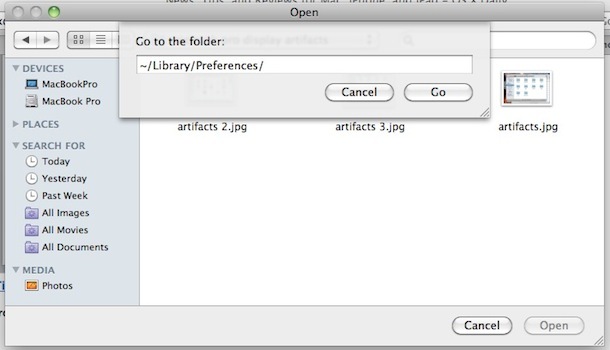 Just use the same keystroke combination to access the Go To Folder feature within the Finder. 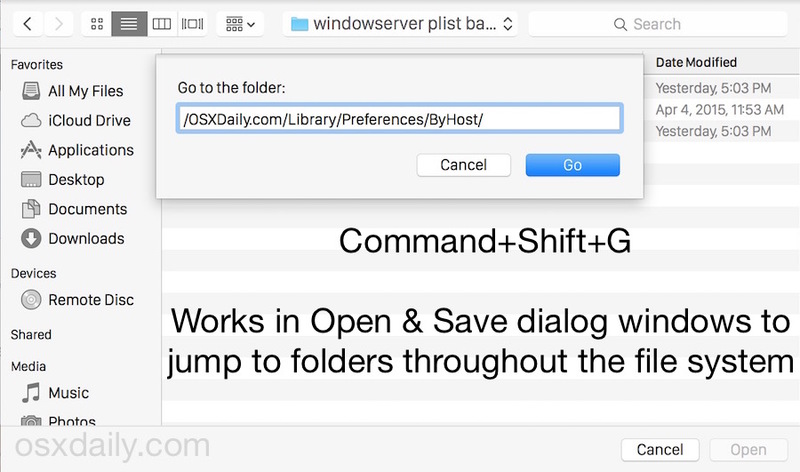 The “Go to Folder” screen will instantly appear as it does in Finder, so type out, paste in, or drag in the path that is desired and hit “Go” to immediately redirect the Save or Open dialog window to that directory path on the Mac. You can also hit the / key from the Open and Save windows to access the same Go To Folder function. This is really helpful when you’re trying to open, edit, save, access, or modify a file that’s buried deep in some remote location on your Mac. So remember, the next time you’re in a Save or Open dialog window, hit either / or Command+Option+G to enter the ‘Go to Folder’ box, and then type in the directory path of whatever directory you want to access, click “Go” or hit Return key, and there you have it! And yes, this works in all versions of OS X. Another keystroke option lets you go the other way too, and access a file within these Open / Save windows directly in the Finder in an instant. I have a G5 PPC with 10.5.8. My keyboard combination is Shift+Command+G to enter the ‘Go to Folder’ box. You press ⌘⌥G to do that? Yuck! Just press the / key, it’s easier. This only seems to work for local folders, not for network shared folders. Is this correct?